One-Day Oil Painting Workshop – SEASCAPES and more…. New date T.B.C….. Please contact me with your expression of interest. Always wanted to learn how to paint water successfully? ‘Seascapes’ in oils is a one-day workshop that will allow you to learn to PLAY with your paints – interact with your own creativity and surprise yourself with the results under the expert guidance of award-winning artist Denise Hogan. Water is perhaps one of the most compelling subjects to paint, and having been born and reared here in Galway, Denise is hugely influenced by the sea, the river and the lake. 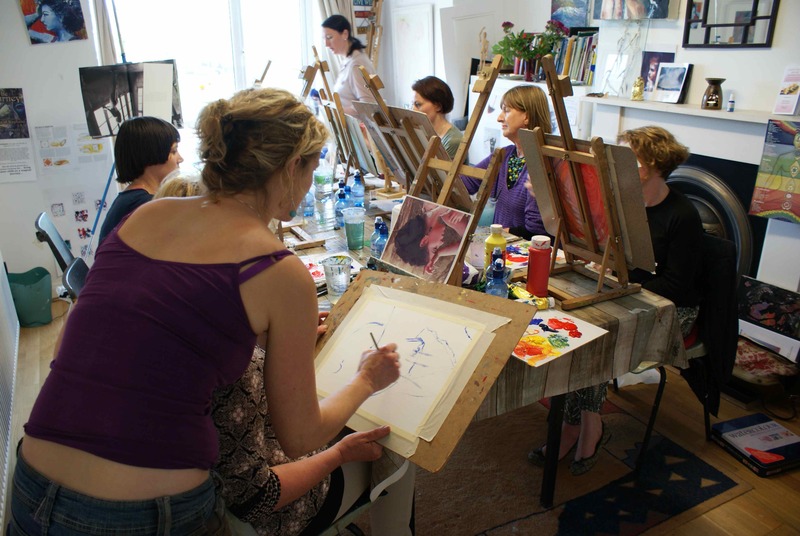 In this workshop the artist and teacher will pass on all of the the ‘tips & tricks’ required to complete your painting. Her love and passion for both the sea and her materials are both obvious and contagious! See the sea in all its ever-changing faces and moods in a totally new way – simply, without complication and by having the most fun during your day. Start at the very beginning under her professional guidance and encouragement. Learn how to choose a suitable image to work from (or bring your own), how to easily create that image on canvas and bring the whole painting to life – simply, easily and whilst having the most fun. Like Denise’s regular weekly classes you will learn how to look at Art, how to read Art and how to communicate with your materials. No experience is necessary. All are welcome from complete beginners to experienced painters. Everyone will be working on their own image at their own pace so there is no pressure to keep up with anyone but yourself! Price €95.00. Please contact me to register your expression of interest.